To celebrate the Autism Show, I am pleased to present this autism special issue, featuring a selection of key pieces curated from previous issues of The SEND Practitioner. The expertise in this issue is just the tip of the iceberg of a raft of Q&As from globally recognised thought leaders across the SEND spectrum. So, if you enjoy reading this publication, sign up to receive it hot off the press straight to your inbox regularly throughout the year. And, if there is anything that you would like to see covered in future issues, please do email me directly. As ever, please do let me know if you have any questions, queries or comments; it would be good to hear from you. 1. A reader’s question: I found your story fascinating, compelling, inspirational and moving. Are you pleased with the way that you were portrayed on-screen? Is it an accurate representation of your struggle to be understood? 2. A reader’s question: How involved were you in the entire process? 3. A reader’s question: The film and your life story detail a compelling narrative of triumph against the odds. How did you and your family find the strength to fight being written off? 4. A reader’s question: You have helped us to understand the importance of sensory issues in autism. What do you consider the most pressing issue in this field? 5. A reader’s question: We all know how hard transition is for those with autism. A student leaves high school, starts college and has to deal with a new environment and strangers asking questions. For some, the sensory overload is simply too much. In your experience, what are the best ways to aid transition? 6. A reader’s question: As a SENCO and teacher, what else can we do in education to support people with autism to fulfil their true potential? 7. A reader’s question: How important is an early autism diagnosis and why? 8. A reader’s question: Following on from the previous question, should we use labels? 9. A reader’s question: In my experience as a secondary SENCO, I have observed many gender inequalities regarding ASD, such as later diagnosis and less empathy for girls with ASD traits when compared to boys… Taking this significant gender gap into account, do you have any advice about making up the lost ground for girls diagnosed later than their male counterparts? 10. A reader’s question: Can you identify strategies to help fully verbal high school students with autism become more motivated to study, when they simply do not see the relevance of school work to their lives? 11. A reader’s question: If parents and teachers supporting children with autism feel overwhelmed by battles and behaviour that challenge them, what would be the main advice that you would offer when the situation becomes stuck? 12. A reader’s question: What is the most important skill to help an eight-year-old child with social communication disorder achieve? 13. A reader’s question: Do you find that our drive to find scientific, evidence-based interventions for children with autism runs a risk of us undermining their uniqueness and creative solutions? 14. A common theme in your advocacy and your professional career is the importance of doing things that make real improvement on the ground. What can SEND practitioners do to make a real difference for those with autism in the future? 15. Do you have any closing comments? Quotes from our conversation with Steve. 1. In April of this year, we celebrated Autism Awareness Month. In anticipation, we spoke to Steve Silberman in our previous issue and interviewed Temple Grandin for this one. In Steve’s piece, he spoke warmly of Lorna Wing, who you’ve worked closely with. What’s your experience of working with Lorna and why has she been so important to autism? 2. In March of this year, two autism charities wrote a letter to The Guardian. They called for all teachers in England to be trained in autism, claiming that, without this, children with autism risked being misunderstood and marginalised. Following this, the World Health Organisation (WHO) recently reported that global access to services and support for people with autism is inadequate. What are your thoughts on this and do you recognise these concerns? 3. As a hugely experienced and widely respected specialist EP, and our module leader for Autism Spectrum Conditions, how do you feel good training can help stop those with autism being misunderstood and marginalised? How can we narrow the gap? 4. How do our MEd SEND Programme Autism Spectrum Conditions modules equip SEND practitioners and teachers to ensure that those with autism are not being left behind? 5. What does the future of autism look like in our schools? “I really liked the way that they did the HBO movie [Temple Grandin (2010)] and portrayed all of my projects with great accuracy. 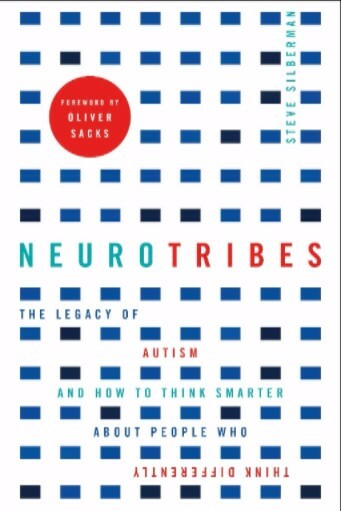 Their depiction of autism was equally accurate in terms of mannerisms, anxiety and visual thinking. The main characters were also based on real people. They had switched some things around, but they had to as it’s only a two-hour movie. For example, whilst I did have a blind roommate, she was in graduate school rather than in college. They not only switched that around, but the graduation scene that you saw in the film was actually my high school graduation in real life. To add to this, at my real graduation, I actually spoke the song rather than sang it. But these were minor changes made with a feature-length movie in mind. “Emily Gerson Saines, the producer, is the mother of an autistic child and she wanted this movie to be absolutely right. It took her many years to get the project together and to find the right team of people with Mick Jackson, who was the excellent director. I spent a lot of time with Emily, Mick and the writer in preparation for the movie. Then, when the production started shooting, I was only on set for two-and-a-half days to make sure that the dipping vat scenes were done right. Why? Because the dip vats (without chemicals) and the equipment were real and I needed to make sure that nothing went wrong with the cattle. That was my main task on set. “Transitions need to be gradual, not surprising and certainly not sudden. Sometimes, with little kids, you can do something as simple as having a rocket countdown. If they’re older and transitioning into work or college, again, things need to be gradual. However, one of the most critical deficits faced by those who find transition difficult, is that some of them may not have worked in jobs before they graduated from high school. Ultimately, of course, it’s about ‘no surprises’, but to prepare them to be resilient to surprises, you’ve got to really stretch these kids. “There are so many community-based opportunities for teenagers to get involved in, whether volunteering as part of a faith organisation or working in a shop store post-16. Whatever the options, transition to college will be smoother if students work in pre-college jobs. Of course, this pre-college course transition will also serve them well after they have graduated from college. Why? Because I’ve seen so many kids graduate from college only to crash and burn in the world of work when they graduate. This is another transition where it’s good not to have surprises. “I’ve noticed that a lot of college counsellors support college students on the spectrum who have time management issues in college. For example, sometimes they might be late for class or might even lose their homework. This was never an issue with me because the ‘being on time’ mantra was pounded into me as a little kid. This isn’t to pretend that things were easy when I was a kid, as I had social problems. However, despite this, time management was not one of my issues. This was because, in the ‘50s, breakfast was at seven, lunch was at 12 and dinner was at six and you had to be there. “First of all, the question’s too vague. The problem with the autism spectrum is that it’s so broad. You’ve got the Asperger’s kind of kid who may need to take an advanced maths class, is not getting that advanced maths class and is getting bored with baby maths. Then you might have a child who’s partially verbal and then you might have another child who has many more severe medical problems on top of autism. And, of course, you want to see each kid develop in an inclusive environment. But, even the most inclusive approach can throw up a few problems too. For example, I don’t want to see a smart, fully verbal 12-year-old in a room with a very severe kid who’s playing on a computer – that’s not acceptable. In this instance, I’d want to jerk that kid right out of there. “Ultimately, we’ve got to ensure that these kids can really fulfil their true potential. I see far too many kids becoming a label. In my life, I’ve made a point of going between the silos. I go to NASA and there are people on the spectrum throughout the organisation. Then I go and work on meat-packing plant construction and find many welders on the spectrum. I’ll then go to a tech company in Silicon Valley and I’ll find people on the spectrum right across the company. These are the privileged kids of parents who sent them to Montessori schools, where they were apprenticed into computer programming. “All these questions that I’m getting are incredibly vague. OK, let’s couch this by looking at three-year-olds. If a three-year-old isn’t talking, then you have to get an early intervention started; period. For the sake of this question, I’m going to diagnose this three-year-old as one who is not talking and who is demonstrating a lot of weird behaviour. Don’t wait, because the earlier the diagnosis, the better the chances that early intervention will make a difference in the medium- and long-term. And you know what, whatever the diagnosis, the general treatment’s pretty much the same – you’ve got to engage them and you’ve got to do things with them. “I get the same problem when people ask me about horse behaviour. Someone will tell me that their horse is crazy and ask me what I would do about it, but I don’t know what their horse did. I then have to ask five or six more questions before I find out that the only place the horse was crazy was when he was put in cross ties – that’s where you tie a rope on both sides of the holder – and he probably had an accident with the cross ties at some time. So, in this instance, when I knew the particular facts of the case, I advised them not to use the cross ties again. It’s a simple solution to a particular question. “See, this is what makes me crazy and why I’ve made a real point of continuously going between the silos. Because, one of the problems with special educators is that many of them haven’t been outside of the special education silo. That’s the thing that makes me just crazy because I’m seeing kids where labels help get services. And then you’ve got a very severe low-functioning disabled kid with no speech, epilepsy on top of autism and gastrointestinal issues. And this 14-year-old needs a very different service from a smart 14-year-old who ought to be in a gifted maths class. It’s about breaking things down and being more specific. “I recommend that a lot of these special educators go and visit a computer company and see what the programmers look like, go and visit a construction site and go and visit an artist’s studio. Why? Because they would see the grown-up versions of some of these kids. They need to go to a construction site, they need to go to a tech company, and they need to hang out with a bunch of artists. They’ll find Asperger’s everywhere, which will maybe give them a different insight. 9. A reader’s question: In my experience as a secondary SENCO, I have observed many gender inequalities regarding ASD, such as later diagnosis and less empathy for girls with ASD traits when compared to boys. I am greatly concerned by the later diagnosis of girls, due to the lack of SEN support in primary education and the subsequent impact that this has on them meeting their goals in secondary education. Taking this significant gender gap into account, do you have any advice about making up the lost ground for girls diagnosed later than their male counterparts? “Again, this is way too vague. First of all, boys act out a lot more than girls. Boys’ behaviour is much more overt, obvious and disruptive and this is one of the reasons why they get diagnosed earlier than girls. And there have been quite a few books written about how girls are different. I don’t think that it’s discrimination, I just think that a lot of girls’ symptoms just aren’t as obvious. “So, bearing this in mind, I can tell you that what really helped me at high school were shared interests. Whichever gender a child might be, fully verbal children/teenagers with autism in high school and middle school must be strongly encouraged to get involved in areas of special interest with other kids. It could be scouting, robotics, band, choir, orchestra, drama, ballet or karate. This is where I found some of my friends. We rode horses together, built electronic projects together and it had a great impact on me. So, I really would recommend the person who posed the question to get her girls (and boys) involved in shared interests. “Well, I was one of those students. I just was not interested. But I had one class that I studied in and that was biology; I loved biology. And my science teacher really helped me to get motivated. He showed me a wonderful movie about optical illusions that was depicted accurately in the HBO movie. Indeed, the movie showed the actual Bell Labs film clip that I watched all those years ago. Following this, my brilliant science teacher started to give me loads of interesting projects and he said: ‘I’m not going to tell you how to make that optical illusion film, I’m going to let you figure it out for yourself’. And then, when he had encouraged me so much that I had discovered that I wanted to be a scientist, he made it clear to me that I would have to take part in all of the other classes if I really wanted to achieve my dream. Through encouraging me in one subject, he enabled me to discover that I wanted to become a scientist and gave me the motivation and confidence to step out of my silo, to chase my dream and succeed. So, in essence, you’ve really got to find something that turns each student on. “In the US [and this is more of a structural comment than a strategy suggestion] one of the things that’s been really bad is the fact that a lot of the schools removed their trade classes from the curriculum. So auto, woodwork and welding have no place in ‘modern’ education. And yet, we have such a huge shortage of auto-mechanics in the US that the removal of these types of classes is completely counter-productive. How will kids find out whether they like auto-shop if they don’t ever get to take a class? It’s madness really, because whatever situation a child is in, we’ve simply got to expose them to interesting things to get them interested in interesting things. Some parents turn their noses up at skilled trade, which is ridiculous. You know, I’ve got a picture of a jet engine with the covers taken off and it’s really complicated. When I go on a plane I always hope that it works OK, as these planes are so sophisticated that we really do need dedicated people to maintain them. I have such respect for the people who make and maintain aeroplanes. “OK, well, some kids will be really dreadfully behaved. By the time that I was five, we could do normal things like go to a restaurant, go shopping and go to a movie and we could even get to the church without a fit. But you have some other kids where they have very severe behaviour issues and that can be extremely hard for families. “Let’s look at some specific examples where things might not work. Take a single mum with a new-born baby and a four-year-old autistic kid with a lot of problems. Well, there is no way that she can deal with that, it’s just too overwhelming; so the immediate solution is that she’s got to have someone to help her with her kid. Then, for example, you might have another mum who has a little eight-year-old kid with Asperger’s. He’s a bright kid, but it’s impossible to take him to the grocery store without him having a fit. In this instance, he clearly has sensory issues and sensory issues are extremely difficult for parents. That’s one of the reasons why I put sensory at the top of my list for research. Because, if your child has a screaming fit every time that you go to a grocery store, that makes life doubly difficult for you, your child and your family. “I had sensory problems but, by the time that I was five or six years old, we could go shopping and do normal stuff. You know, shopping wasn’t the issue, I liked going to the store and then going to a restaurant, which was a real privilege and I never behaved badly in there. Of course, for me and by that age, a temper tantrum equalled ‘no TV for one night’ – that was the rule that was enforced the whole time that I was at school and it worked. But it’s a different situation for those kids who quite literally cannot tolerate a noisy grocery store and it’s extremely difficult to deal with. Ultimately, it’s about gradually getting the child to get some control over the sound so that they can get to a state of mind where they can tolerate it better. But to do this effectively and to enhance the treatment options, there really needs to be a great deal of additional research into sensory issues. My number one research priority is to explore this area in much more detail, so that we can start to really figure out how to treat such sensory issues more effectively. “We need to ask these key questions, listen to the answers and act on them. So, let’s just break it down. How’s he doing with his friends, is he getting on OK socially? What’s he doing in school? How’s he doing in his classes? “These questions may seem simple, but I state them off the back of my particular experience in school. You see, I couldn’t do algebra and there are a lot of smart arty kids where algebra is going to hold them back. If this kid has a similar experience, then they should really be allowed to do statistics, geometry or some other type of maths. Fortunately, the college that I attended in New Hampshire allowed the maths requirement to be filled with statistics. I did it, but was helped by a ton of tutoring that enabled me to achieve and build-up my skills. Encouragingly, last month I visited a college in Utah that allows stats to replace algebra. “Well, I don’t know where I would be if they hadn’t made an intervention and worked on getting me talking. I think that I’d still be unique, because my creative abilities in art were always acknowledged and encouraged, but that early intervention made a huge difference to me. But, of course, you’ve simply got to work with kids so that they can do the basic stuff: like the laundry, eating and shopping. This won’t damage each child’s uniqueness, if a child gets the basics right, then they will have even more freedom and opportunity to demonstrate their uniqueness. “The thing is, I’ve seen situations where children have liked trains and their teacher has simply tried to stamp their interest out. Let’s use it, let’s read about trains, let’s do maths with trains, and let’s take that fixation and broaden it out; because they need to be able to function and use their special interest as a conduit to greater understanding, learning and function. And, as I’ve said to many tech companies and some of the programmers that they have there: whilst they may not be social and may be on more than $100,000 a year, they still need to be able to function in society and teaching them the basics will really help them and will not take away from their uniqueness. “I was taught table manners and I can’t emphasise enough how important such things as table manners are. For example, Google has these really nice free cafeterias and you can’t go in there and throw food around and eat with your hands and squash food on the table – that wouldn’t be allowed at Google. In this way, then, instilling basic table manners enables each person with autism to use their uniqueness and function in a setting like Google. Similarly, you can’t get a job at NASA and throw things. In fact, I believe that NASA fired a guy for throwing a briefcase even though it didn’t hit anybody. You can be weird, you can have long hair if you like, but you can’t throw tools. You know, these are things that you just can’t do. If anything, the right kind of treatment can help you to use your uniqueness. “Get out there on the ground and find out what each kid’s problem is. If they’re teenagers and they don’t have friends, get them into shared interest groups: scouting, robotics, creating things with computers, bands, music, theatre; anything. Use their shared interests to help them get friends and by the time that they get to middle school [around 12 to 13 years of age], get them to learn working skills outside of the home. Then, by the time that they are 16, they need to get a part-time job to learn working skills. Get them involved with shared interests so that they can get friends. Ensure that they start learning how to work long before they graduate. “I’m a big fan of developing the kids’ strengths. If one of them is a mathematician, then I want them to develop their maths. If they’re an artist, then I want them to develop their art and design skills. If they are musicians, then I want them to develop their music. I want them to take the things that they are good at and I want them to be nurtured and developed. How many times must we see a kid who could be a wonderful musician end up playing computer games in their basement? This is not a good outcome. Kids get interested in stuff that they get exposed to; period! So how is a boy going to find out that he likes auto-shop design if he isn’t exposed to it? This is why I think that it’s so important that schools expose their children to a lot of different career opportunities. “First-hand, I’ve seen this lack of exposure affect how people apply to study at the animal science department of Colorado State University. In our animal science department, and others across the country, around 70 per cent of the incoming college students want to be vets. Why? Because it’s the only animal-based career that they’ve been exposed to. Then, after they have been there for three years, they discover all of the other careers that they can pursue in livestock, which sees those wishing to become vets drop to around 20 per cent. In this example, it’s clear to see that they didn’t change their career goals until they got exposed to other things. You know, they could have been an animal geneticist or a nutritionist if they had been made aware of these options, but they didn’t even know that these options existed. Empower kids to learn real-world skills before they graduate from high school. Get kids involved with shared interests. Develop the kids’ strengths, take fixations, and expand and broaden them. Carry out an early intervention if a young kid isn’t talking. Born in 1947, and diagnosed with autism in 1950, Dr Temple Grandin has journeyed from the verge of being institutionalised as a young child, to become a world-renowned author, academic and spokesperson on autistic and animal behaviour. Named one of the 100 most influential people in the world by Time magazine (2010), and played by Claire Danes in HBO’s award-winning biopic: Temple Grandin (2010), she has blazed a trail for those with autism and those who support them. Read about Temple on her website. Find out more about Temple’s books. When Hillary announced her autism plan a couple of weeks ago, I was really impressed with her proposition to carry out the first study of autism prevalence in the US. In this day and age, it is absolutely appalling that, after 15 years of yelling about vaccines and autism epidemics, we have never actually sat down to figure out whether there is a true rise in prevalence. Of course, Terry Brugha did that in the UK in 2011 and discovered that autism is just as prevalent among older people as it is among children. And this fact, in itself, may well suggest that there has been no rise whatsoever. But it really does need to be investigated in the US and, for that reason, Hillary’s announcement is welcome, though some autistic self-advocates are unhappy with her plan because it includes more funding for ABA [Applied Behaviour Analysis] and many autistic people have terrible memories of ABA. “I worked with and knew Lorna for approximately 20 years and she was an amazing mentor, role model and friend. One of the most interesting things about Lorna was that many of her original ideas have evolved over the years and are still current, so her really great foresights and insights meant that she was several steps ahead of the pack. When she sadly passed away, the countless eulogies and obituaries quoted research that had been published more recently and remarked on the fact that Lorna had reached many of the same conclusions ten or even 20 years ago. In many ways, she was quite the visionary. “She had this forensic, scientific ability to get to the heart of the matter and was also the mother of a daughter with autism. This background gave her a unique voice and perspective; enabling her to combine rigorous and scientific discipline with an empathic view of what caring for a child with autism really meant. And some of her most important observations about the early identification of children with autism – such as a child not pointing or not joint referencing – came directly from this confluence. She could remember watching her young daughter on the train with a little girl of a similar age and noticing her behaviour was just so different. “So, whilst the fuel for her observations was her experience as a parent, her scientific background very much drove her questions. At her funeral, I was asked to deliver a eulogy and I used one quote in particular which sticks in my mind: ‘[that] the important thing is not to stop questioning, [for] curiosity has its own reason for existing’. This, I think, very much reflects Lorna, someone who constantly asked questions. She never claimed to be an expert and she was very humble, but she was absolutely committed to autism and listened to everybody. She was also extremely generous with her time. If young researchers asked her questions, she would always find a moment to give them some guidance. “Yes, to some extent, I recognise the concerns, but before I reflect on them, I think that it’s important to highlight the fact that there are many examples of very good practice currently evidenced in schools. I’m working in a broad range of schools right across the age range (including post-16) and have seen some excellent practice. Training is one aspect that does need to be in place, but it’s really important to get the training right, because I do have some concerns that people think that if you do lots of autism awareness training then everybody will know what to do. This is not the case, because autism is so complicated. On balance, I think that you need different levels of training to ensure that people can really see what maps onto their individual context. It’s just not as simple as sending everybody away on a training course to make things much better. No, it’s more about thinking about levels of training for key workers and training that’s tailored to individual settings. “I think that good training has to be holistic and I feel that we really need to look at a range of dimensions. In the autism field right now, a lot of people talk about dimensional approaches, learning styles and sensory needs; and there is also a lot of awareness around girls and women with autism. And I think that some of these newer interest areas are the ones where gaps in training exist. Also, I have some real worries about the fact that schools are under incredible pressure to work with data and measure outcomes. I acknowledge that it is important for them to do this. However, I am also concerned that children and young people on the autism spectrum require quite a lot of intensive working as regards the social curriculum. And if schools are being pushed to focus on academic outcomes, then it greatly concerns me that the holistic aspects may be lost in the wake of such a narrow focus. “The MEd SEND modules have a very reflective practitioner stance and this is key. We do, of course, encourage our delegates to increase their knowledge by examining the history and the evolution of the autism spectrum and it’s important to see how it has changed and its implications for practice. However, what we’re really promoting in these modules is action research. The action research helps delegates examine individual case studies and asks them to carry out their own research into auditing and profiling and link this to what they have done themselves in terms of interventions. This is empowering work that moves beyond simply absorbing and increasing their knowledge, because when they have completed these modules, they can actually think about the application within their individual context and introduce new ideas and interventions based on their personal research. “The next few years are going to be really interesting, because our schools have been much more inclusive in recent times. I’m pleased to see that young people in schools are much more used to learning alongside children with autism than they have been in the past. There’s also been so much autism coverage in the media that the younger generation are much more knowledgeable. You can talk to teenagers about autism and many of them can tell you an awful lot – which certainly wasn’t the case when you or I were at school. So, I think that the legacy of our inclusive system is strong and will shape future generations. “I’m also very interested in the fact that universities and employers are now actively recognising the strengths of learners with autism spectrum conditions and I know that Steve Silberman picked up on this theme in his recent book. Ultimately, though, schools need to collaborate with FE, HE and employers to identify how we maximise these strengths to ensure that there are real opportunities. This runs hand in hand with the fact that there are employers actively recruiting individuals with Asperger’s syndrome, particularly in computing and engineering. “There are many positive things emerging, but austerity means that schools are struggling with budgets. This concerns me, because of the impact that it will have on specialist services. Of course, other areas that schools need to look at very carefully revolve around girls and women. More particularly, we need to really look at those complex cases where girls are being wrongly diagnosed/not being diagnosed and are ending up in psychiatric provisions. This should not be happening in this day and age and we must strive to understand it better. Sue is a senior specialist educational psychologist (EP) who is a consultant to the Lorna Wing Centre for Autism (part of the National Autistic Society). She has been a specialist ASD advisor/EP for a number of London boroughs for over 20 years and has also worked as a specialist teacher. Sue has been instrumental in setting up provision for children and young people with ASD across early years, primary and secondary and has an eclectic career portfolio covering lecturing, training, consultancy and diagnosis and assessment. She is a specialist speaker in autism for EPs in training at University College London and has worked in collaboration with other universities – her doctoral research focused on autism outreach services. Find out more about the Autism Spectrum Conditions: S&K and A&R modules.